At Garden City Dental we approach the care of our patients in a way that we believe sets us apart from other dental practices. We are dedicated to helping apprehensive patients receive the care they need. All our current staff are very understanding of the needs of apprehensive patients. Between us, we can offer all sorts of strategies to help you cope with treatment. Click here to learn more about how we help nervous patients. We believe in minimal intervention. The less teeth are drilled and filled, the better for their long term health. There is no hard sell at our practice. Our aim is to ensure you can enjoy the same food at 80 that you did at age 8. That is not to say that we cannot provide high quality cosmetic dentistry, we are more than happy to do this if you request it and we are confident it will not harm your teeth. We will never judge you or “tell you off”. Our only interest is to work with you to sort out your dental issues at your own pace. We understand that cost can be an issue and will explore all options to help overcome this. Our whole team have a similar approach to treating our patients with a calm, caring and friendly manner. Lincoln qualified from Kings College Medical School in 1988. He has been at the practice since 1989 and became a partner in 1994. Lincoln has a special interest in treating very nervous patients. He has developed a reputation for helping people that were so apprehensive about visiting the dentist that they had previously given up hope of being able to accept dental treatment. He trained in conscious sedation in 2003 and has many years of experience offering the full range of techniques to help very apprehensive patients. He is on the panel of dentists answering questions from the public on the website Dental Fear Central and many of his patients travel great distances to see him. Lincoln has had extensive training in dental implants at the prestigious Tatum Institute, and is able to employ this advanced treatment to replace missing teeth. Having been at the practice for so long, Lincoln feels privileged to have seen many of the children he has treated grow up and attend the practice with their own children. Away from work, Lincoln is married to Gill and has two grown up children. He is currently refining his skills as a glider pilot which helps remind him what being nervous really feels like! Kalpesh qualified from Cardiff Dental School in 2005. He became a partner at the practice in 2016. Kalpesh has a special interest in treating very nervous patients, cosmetic dentistry and restorative dentistry. 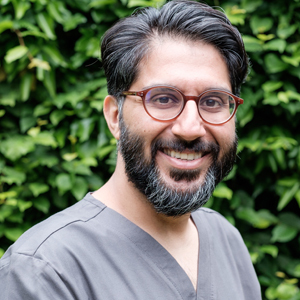 He was trained in dental sedation techniques for anxious patients at Guys Hospital London and is able to offer the full range of techniques to help very apprehensive patients. He has a Masters degree in Implant Dentistry from the University of Warwick. He has spent time at the prestigious Spear Dental Institute in Arizona, learning from world-renowned dentist Frank Spear. He is in the process of training in short-term orthodontics for cosmetically straightening teeth and facial aesthetics (such as botox). His experience and training allow him to offer both general dentistry and dealing with more complex dental problems. Kalpesh has been a member of The Royal College of Surgeons (London) since 2007. Kalpesh is a keen music fan and in his spare time he regularly attends gigs and festivals (you may see him wading through the mud at Glastonbury!). He has even tried his hand at (very) amateur DJ’ing! Kalpesh enjoys spending quality time with his wife Yogita and his daughter Sia. Paul qualified from University College London in 1988. He has worked at the practice since 2005. Paul has developed a reputation for treating his patients with the highest levels of care and sensitivity. 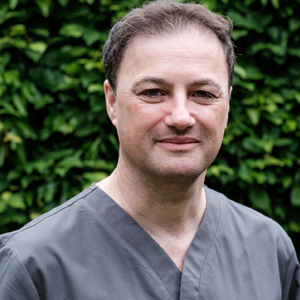 Paul has accumulated a wealth of knowledge and experience over his practising life, and often discusses difficult cases with his colleagues at the practice, sharing his experience. 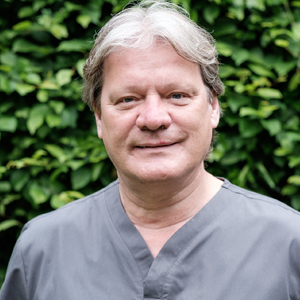 Having been at the practice for many years, he has seen his patients grow older as he has, many of them getting married, becoming parents and becoming grandparents (as he has with the light of his life Harvey). Paul grew up in Liverpool, as the Beatles started to become famous around the local pubs and clubs. Paul is a lifelong keen music fan and is constantly acquiring new additions to his growing collection of vintage hi-fi and mobile DJ equipment. Paul likes spending his spare time travelling the world with his wife Celia and spending time with his grandson Harvey. Hana qualified from Barts and the London School of Dentistry in 2014 and joined the practice in 2017. Hana enjoys all aspects of dentistry and works closely with her patients to help them maintain a healthy mouth and smile. Hana works particularly well with patients who are anxious. She helps them to develop confidence and to feel at ease when receiving dental treatment. Hana is currently studying for her Masters degree in Endodontology (complicated root canal treatments) at the University of Chester. She has attended a number of prestigious courses to help her deliver the best possible care to her patients. In her spare time, Hana enjoys eating out and spending time with her husband Mehdi and her two naughty (but very cuddly) dogs Boris and Joey. 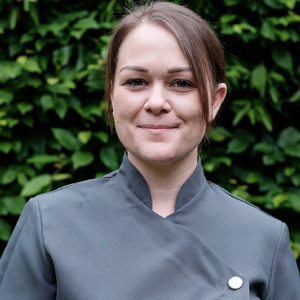 Leanne qualified from Kings College London in 2007 as a dental therapist/hygienist. She joined the practice in 2008. 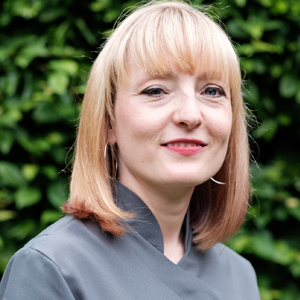 Leanne works with patients to ensure their gums and mouth are as healthy as possible, helping to prevent oral problems such as tooth loss from gum disease. 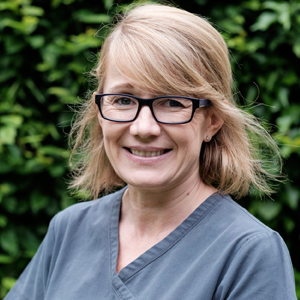 Leanne is very gentle and caring when providing treatment, especially with nervous patients, and many patients who have been put off by bad experiences from hygienists in the past now see Leanne regularly. 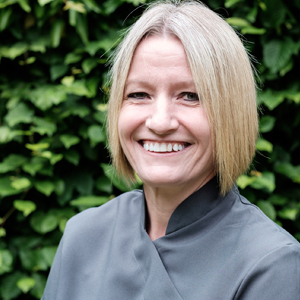 In her spare time, Leanne enjoys pilates, reading and spending time with her children & family. Jodie joined the practice in 2003 and became the practice manager in 2008. Also a qualified dental nurse, Jodie has trained in implant nursing and has gained her dental sedation nurse qualification. She spends most of her time up in her office but is often found downstairs having a chin wag with the patients and staff! In her spare time Jodie enjoys working out, cooking & reading. She loves spending time with her husband and two children Charlie and Evie. Stacey joined the practice in 1999. 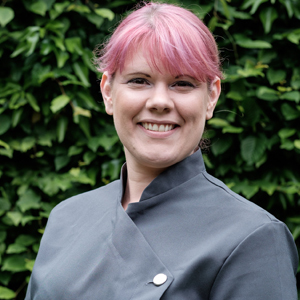 She left for a couple of years after her daughter Amber was born but couldn’t stay away and lucky for us she re-joined the team! 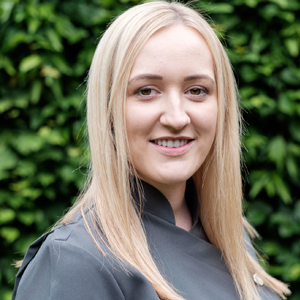 Stacey is usually found on reception but she is also a qualified dental nurse. 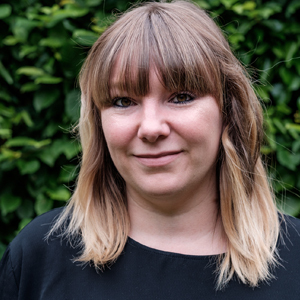 Stacey enjoys following her football team Fulham, music and spending time with her family. 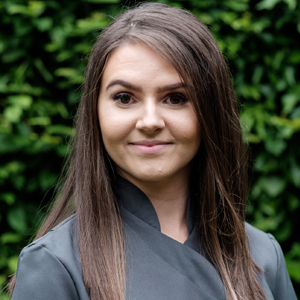 Rachel joined the practice as a receptionist in January 2018. Rachel has been a patient here all her life and a very nervous one at that. Rachel has worked through her dental fears with Lincoln and Jean and is now much more relaxed when visiting the dentist. Because of this Rachel can really empathise with nervous patients and is happy to have a chat to patients even before they are ready to attend here. In her spare time Rachel enjoys spending time with family and friends, and visiting new places! Sara joined the team in April 2018 as our trainee dental nurse. She has taken to the role like a duck to water and is looking forward to gaining her dental nurse qualification. On Sara’s days off she is mum to her two daughters, Molly and Darcey. She enjoys following her football team Liverpool and days out with her family. Mandie joined the practice originally in 2006 but left and then returned in 2010. She is a qualified dental nurse and has also gained her radiography qualification. Mandie enjoys working out and long walks with her dog Milo. She also spends a lot of her time fundraising for an animal shelter. Billie has been a team member since 2016. She is a qualified dental nurse and has also had training in dental sedation nursing. Billie enjoys socialising with her friends and family and spending time at the gym. Emma joined the practice in 2008. 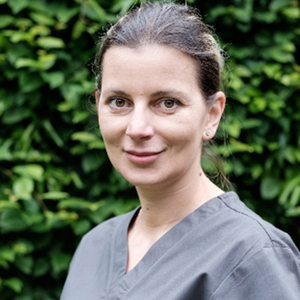 She is a qualified dental nurse and is keen on gaining the implant nursing qualification. Emma is well travelled and when she isn’t looking after her son Preston (and husband Rick! ), she enjoys planning family holidays and exploring different countries. Jean has been a dental nurse for 39 years and joined the practice in 2007. She is trained in implant and sedation nursing and enjoys assisting with anxious patients. 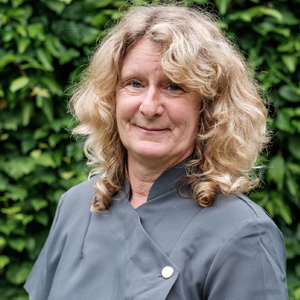 In her spare time Jean enjoys socialising & spending time with her two children and granddaughter. She spends a lot of time at the stables with her horse Pippa, and sometimes competes in show jumping events.